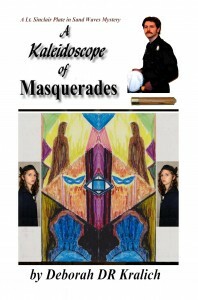 REVIEW- Intricate tale of political intrigue with a tangled plot leading up to murder and mayhem at a masquerade ball. 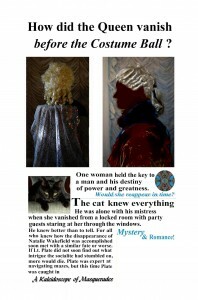 Continuing characters, if you care read the second in this series before this. otherwise a mystery that keeps changing with everybody in disguise but all revealed in the end. Enjoyed it. All over Sand Waves, participants were preparing for the ball. Forrest Pointpar was extremely pleased with his custom-made Napoleon costume. Earlier that day he had attended a second meeting with the same group of people he had met with before in the Toy Museum Restaurant. They had chosen the morning of the ball to demand a final decision from Forrest on which way he would go. Forrest had considered the matter settled but this group needed confirmation. This time the leader of the group was not there. That was to be expected and Forrest was not surprised to see his chair vacant. It was a sign of respect for his position that a vacant chair was placed, as much as possibly could be placed, at the head of a round table. “I have carefully thought over your proposal concerning Edward York,” said Forrest formally, adding silently, I think all of you are creepy, scary, sinister and just plain weird, the way you’re going about this. If anything happened to cause Reagan to step down I would automatically support Edward York to take his place. He would be the natural choice. So why all this charade? But Forrest did not state the obvious. Somehow, he decided, these men were so far removed from the real world that there was no way they could possibly see the obvious. They believed they needed all of this cloak and dagger subterfuge to achieve what would normally happen anyway. As Forrest listened to them, he reflected on how easy it was to remember what they did and how hard to remember their actual names. He still could not. Except for one. The absent leader. “If anything should happen to cause our president to have to step down, I will publicly support Edward York,” Forrest said simply. This met with expressions of approval all around. “I wanted to thank you all again for getting me the right character at the masquerade ball,” Forrest added. The other men all laughed. “Some of our supporters offered to underwrite the event and allow it to feature Edward York in such a way that he gets some entertaining publicity that will capture the attention of people who are not interested in politics at all,” said the adviser to past presidents. “It’s really just good PR,” agreed the Wall Street power broker. “Edward York is the hope of our nation,” said the behind-the-scenes authority. “President Reagan is a strong leader but we fear that due to his age he might not make another four years even if he does go on to be reelected,” said the journalist. “Let’s say the very best possibility for the future comes true. Ronald Reagan is reelected and serves as president for another four years in good health,” said the behind-the-scenes authority. “We need somebody to succeed him then, if not before. While President Reagan is a strong conservative and a religious man, Edward York is the man to lead our country away from the pitfalls that began to befall it in the 1970s. His religious convictions are not only strong, they are implacable. He is not only a conservative, but his priorities are in the correct order,” said the adviser to past presidents. “We expect him to take up the mantle of leadership and fight for the return of our society to the days before abortion became legal, divorce became a technicality, drugs became acceptable, and the traditional family began to decline,” declared the behind-the-scenes authority. “There is no other man, particularly of his age and attraction, who can fulfill this promise,” said the well known political journalist. “There will be many Supreme Court vacancies in the next few years,” agreed the Wall Street man. “We have confidence that not only will Edward York be the strong moral president we are going to need as we approach the end of the twentieth century, but he will appoint the right men or women as Supreme Court justices to carry us forward into the twenty-first century,” said the adviser to past presidents. “Men and women devoted to God and to upholding the Constitution,” said the Wall Street man. All of this sounded good to Forrest. He did not feel like he needed to give all this social and political stuff too much analysis. He was looking forward to portraying Napoleon at the ball tonight. He was really looking forward to his date. The meeting broke up early and Forrest was free to go back home to get ready for the night. He smiled to himself when he imagined the consequences of what he was fixing to do.